Animal cruelty is something we take very seriously, so you can be sure that all the experiences we promote reflect our philosophy… We want to conserve, not exploit other species so that means no elephants riding or dog sledding, no circuses, no selfies with tigers or dolphins, and no animals in captivity. We believe all creatures deserve love and safety and they are not put on this earth for our entertainment. We do however understand how fascinating it is to be around exotic animals and wildlife so we will always try to give you the chance to experience friendly encounters…keeping in mind that wild animals are best viewed undisturbed in their natural habitat. 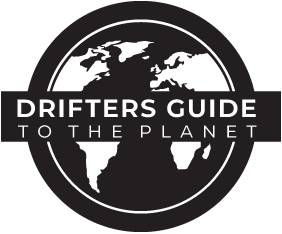 Drifter’s Guide to the Planet is committed to sustainable travel which includes looking out for the well being of animals in the tourism industry. Our main concern is the lack of knowledge, information and attention to animal welfare globally, particularly in the travel sphere and we believe this is a significant issue that needs to be prioritized; therefore we would love it if you join us in promoting responsible travel based on the international guidelines for animal protection. And so we ask our fellow travelers and guests to thinks twice and refrain from buying controversial and unethical animal products while abroad such as ivory, turtle shell, and shark-fin products which are most likely acquired illegally using cruel means, and should they feel there has been an unethical or cruel behavior towards animals please let us know and we’ll do our best to report it and take the necessary measures.